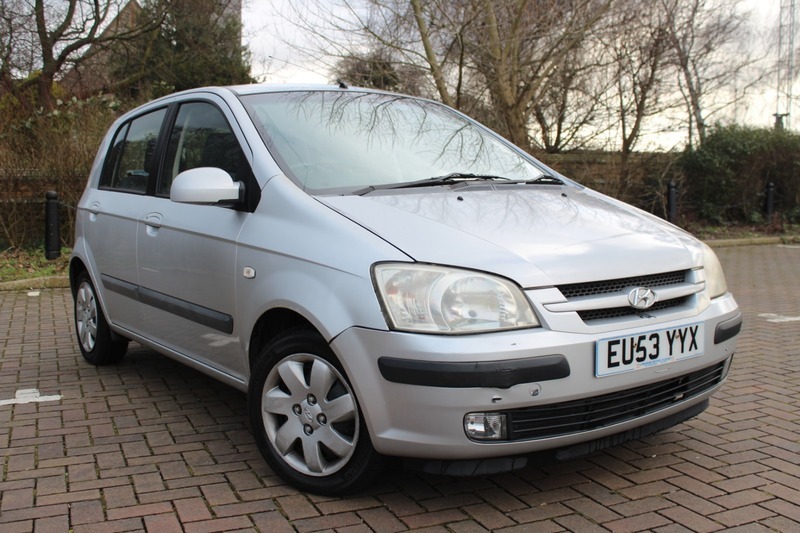 Here for sale at Leigh Cars Ltd we have a superb 2 owner low mileage example of the Hyundai Getz 1.1 CDX Petrol Manual A/C model. This particular example comes with 2 keys and a BRAND NEW ADVISORY FREE MOT and good service history. This car is mechanically sound but does have a few areas of damage around the vehicle that are minor bumper scuffs and scrapes but they are visible, the car is priced to reflect this being £400 lower than the recommended retail, please see the pictures and give us a call if you have any questions. This car would be ideal as a first car or as a town run around, and with such low mileage for the age it has plenty of life left in it. At only £140 a year to tax and averaging around 50mpg this car is economical to run and a fun little drive, call us to book an appointment to snap up this little cheapy. As we are an AA accredited dealer you will receive 12 months complimentary AA roadside assistance. AA warranty packages available up to 3 years and superb low rate zero deposit finance deals available today. Why not give us a call or visit our website finance calculator to see how affordable your next family car can be.